Book Review: Queen Victoria’s Matchmaking by Deborah Cadbury | Enough of this Tomfoolery! The centenary of the outbreak of the First World War in 2014 not only resulted into a deluge of books, films, articles, blogs, exhibitions and documentaries about the events leading to the war but also a reappraisal and revisiting of Queen Victoria’s role as the “Grandmother of Europe.” Eight of her nine children married into the various royal houses of Europe and this complicated network of family ties was intertwined with international affairs, which in some way were one of the causes that led to the Great War. 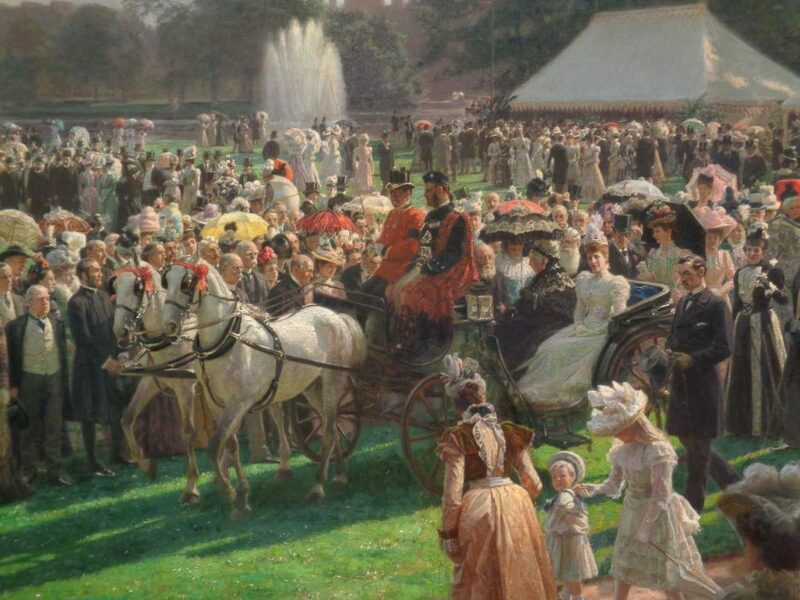 This network of family ties was part and parcel Prince Albert’s vision of Europe as a family of nations unified by peace and liberalism and held together by Britain and a unified and liberal Germany. This idea was not new however as Victoria and Albert’s Uncle Leopold (later King of the Belgians) always nurtured a dream of having a Coburg on every throne in Europe – a dream which Albert carried on by marrying off his oldest daughter Vicky to Crown Prince Frederick of Prussia. Through Vicky and Fritz, Albert hoped that Prussia and later Germany could be transformed into a liberal state, made in the image of Britain. However this plan unravelled quickly with the early death of Frederick after a brief reign as Kaiser and never came to fruition. Queen Victoria viewed every pronouncement and scheme from her beloved Albert as akin to holy writ and as Deborah Cadbury shows in her recent work, her matchmaking would not only apply to her children but also extended to her grandchildren. Amidst the backdrop of the assassination of Tsar Alexander II of Russia in 1881 and its aftermath, Cadbury charts the Queen’s machinations as she tried to prop up Albert’s vision through her grandchildren. These machinations often did not go according to plan as the Queen was frustrated in her attempts to block the marriages of her Hessian grandchildren Ella and Alix into the Russian imperial family. Victoria was a passionate Russophobe, her view of Russia partly coloured by the two countries’ disagreements over the Ottoman Empire and the on going “Great Game” over Central Asia and India. She also viewed the country as unsafe and admitted to feeling her blood feeling cold over the idea of “gentle, simple Alicky” as tsarina. Another one of Victoria’s schemes that failed was marrying off one of her grandsons, Prince Eddy the Duke of Clarence. First on the list was his first cousin Alix of Hesse but she refused him, then Eddy himself fell in love with Helene of Orleans, who despite being Catholic was willing to convert to the Anglican faith to marry him. Despite the Queen’s support and her father’s eagerness to see his daughter as a potential queen consort, Pope Leo XIII threw a spanner into the works of the proposed marriage by refusing the princess a dispensation to convert to Anglicanism. Undeterred, Queen Victoria proposed as fiancée May of Teck, a distant relation with a flawed pedigree, but unfortunately it was not going to be third time lucky for Eddy as not long after the engagement, he caught influenza and died. After a suitable period of mourning, May was then engaged to Eddy’s younger brother George, who was also nursing a broken heart after the Duchess of Edinburgh put a stop to any moves to marry off her daughter Marie to the smitten George. Instead “Missy” was married off by her mother to Crown Prince Ferdinand of Romania. Bubbling under the surface of these entanglements was the constant threat of assassination attempts and violence from revolutionary and anarchist groups. Ella’s gilded bubble was shattered when her husband Sergei was assassinated in 1905, while another of Victoria’s granddaughters, Ena of Battenberg survived one as she and her new husband King Alfonso XIII of Spain were in their carriage following their wedding in 1906. These incidents among others were a harbinger of what was to come especially in the wake of the First World War: but Queen Victoria and her son and successor King Edward VII clung naively to Albert’s vision and maintained that peace could be achieved through strengthening the family bonds between the various monarchies of Europe. Cadbury writes in a brisk and conversational style that is readable and she has helpfully drawn up a handy dramatis personae at the beginning to help the reader through the myriad of names and nicknames that are scattered throughout the narrative. While the popular press then and hagiographers write about these royal marriages as love matches, Cadbury disagrees and presents the reality behind these marriages. The story of Nicholas II and Alexandra (Alix)’s marriage is one of love and tragedy but Cadbury does not ignore the fact that despite their personal happiness both were temperamentally unsuited to the roles they had been destined to fulfill. If Nicholas was not suited to be the autocrat like his father, Alexandra despite her royal blood and impeccable family connections was not the right consort for Nicholas. Her unwillingness to follow well-meaning advice from family and friends not to mention her defence of autocracy with the same zeal that led her to wholeheartedly embrace the Russian Orthodox faith had disastrous consequences for her family and her adopted country. The same is true with George V and Mary and I wish that the author had explored more of their married life, as there were already signs from the engagement that the marriage was not one of love as presented to the public but more of duty. One can only speculate what the former May of Teck thought and felt as she was shut out of even something as mundane as decorating her own home and her individuality all her life repressed and subordinate to George’s will and limitations. One of her earliest biographers perceptively noted that for May there was no higher calling than to be royal and perhaps that overrode any other considerations for her. Apart from the narration, this book’s other main strength is with regards to pointing out strongly Queen Victoria’s weakness – her naïve view that foreign policy issues could be solved between families, not really realising that growing movements of nationalism, national identity and national interest were stronger than family ties. This was something her two successors – Edward VII to a lesser extent and George V to a greater extent understood, this played a part with the establishment of the Triple Entente between Britain, France and Russia in 1907 and later withdrawing the offer of asylum to Nicholas II and his family in 1918. In the end, as Cadbury shrewdly observed, royal cousinhood would prove to be powerless against the tide of change and in the end also sowed its own seeds of destruction. After the First World War, the political power of monarchy was all but destroyed and never again would “equal” royal marriages be encouraged and viewed as tools of political alliances. A popular saying goes that “blood is thicker than water” but as this tome demonstrates, blood ties would be meaningless against a cataclysmic world war. The conclusion is of course correct. All those efforts to secure close family ties around the world came to nothing in the end. Yes and that national interest is stronger than family interest.